It's thought that Gardening Exercise Day was started by gardening clubs and groups. 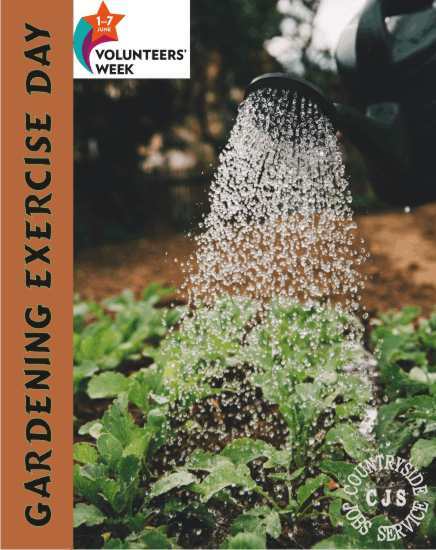 It is a day when people are encouraged to head out into the garden, and tend their beds, borders and veggie plots and in the process make your garden look good whilst getting some healthy exercise without even realising it -unless you're planning on some double digging in which case you know you're in for a cardio workout!. Enjoying your time out of doors and absorb all the benefits of being outside, the mindfulness aspect (see Garden Meditation Day from earlier in theyear), to getting a healthy dose of vitamin D (but not too much - don't forget the sunblock even on a cloudy day). If you don't a garden or an allotment but enjoy spending time with your hands in the soil many places require occasional volunteer gardeners, the National Trust are often asking for help one or two days a week or month. See what you could join in with here. For novices and experienced horticulturalists alike there is a range of short courses designed to help you in one of the many aspects of gardening from fruit tree pruning to changing to a permaculture or organic style of gardening advertised in our Training Directory here.